Registration is now open for VDC!! 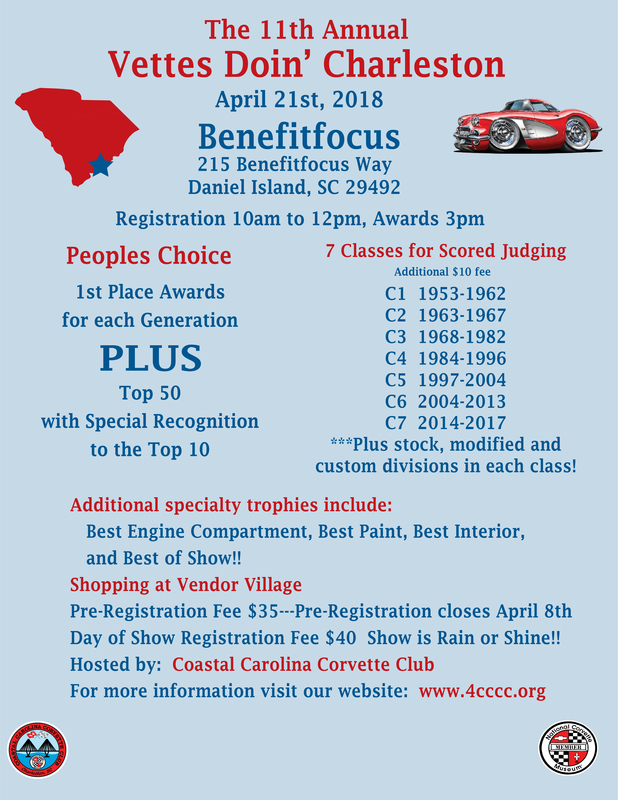 Please click on the 11th Annual Vettes Doin' Charleston Corvette Show link to the right, on Upcoming Events. Once the event page opens, click on the VDC Registration button.